The year 2007 will be over soon. Japan wasn't involved in a war or terrorism this year too. It was just lucky. As I came to read the internet news or find the source of news in Japanese newspapers on the internet these last 5 years, I began to worry about other countries. Many countries have their own issues. Though Japan also has many social problems, almost all Japanese people don't have any difficulty getting food, clothes, medical services and housing. I appreciate that and I hope this status will last in the next generation. I've been about to cry uncle with the overwhelming amount of work lately! Anyway, the new year is just around the corner. A lot of calendars of the next year started to be delivered to my hospital from various companies related to medical services. I put some of them on the wall of my study and my office. 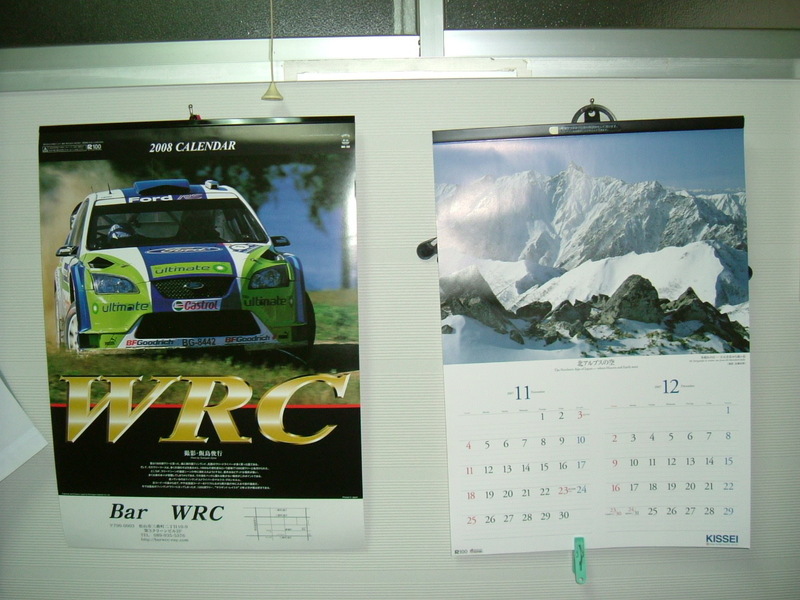 I usually choose the calendars which have pictures of scenery. 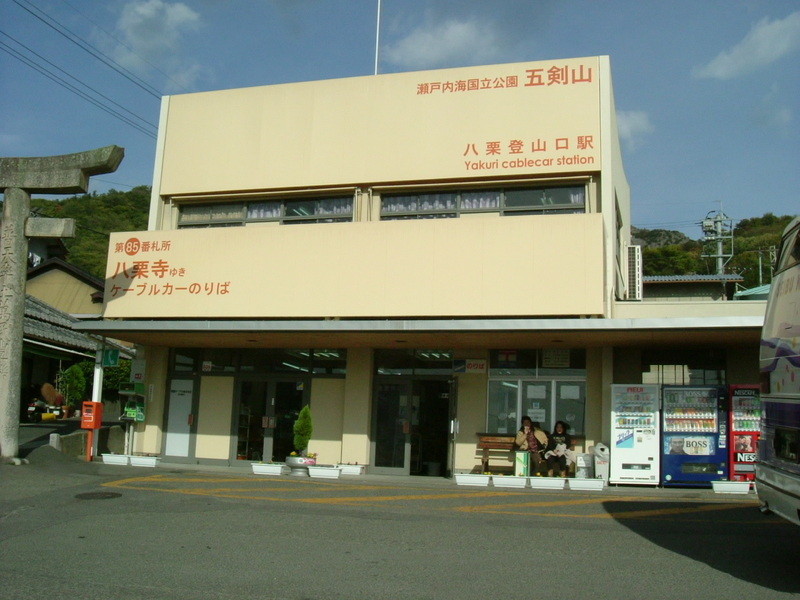 http://www.kissei.co.jp/e_contents/from_ceo.htm This company is located in Nagano prefecture, where the Nagano Winter Olympics were held in 1998. 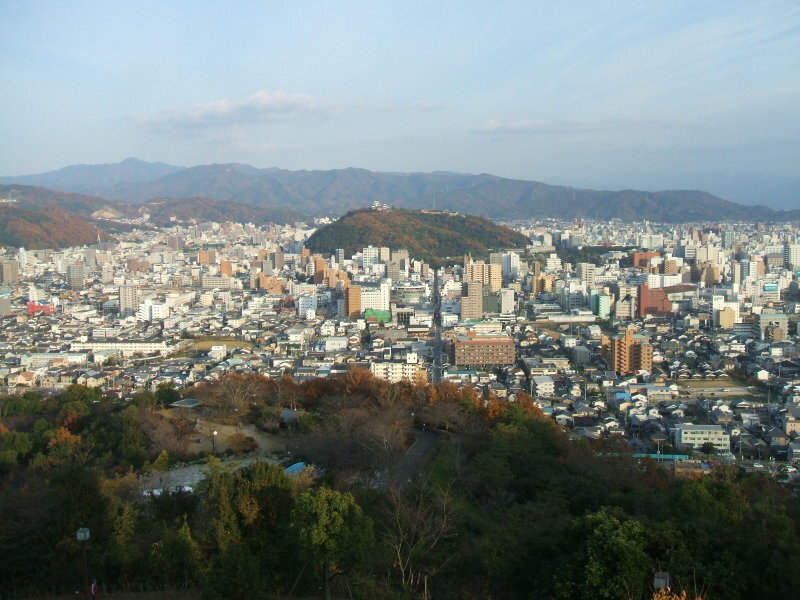 Nagano prefecture is also noted for having the Japanese Alps. This company makes calendars with pictures of the mountains and distributes the calendar to their customers as a New Year's gift. I'm looking forward to seeing them every year. The left one is from a bar where I sometimes drop in. The owner of this bar loves car rallies and named his bar "Bar WRC". The WRC (World Rally Championship) will be held in Hokkaido in Japan next October and I'm going to join it as an official. I decided to use both in my office this year. When I was about to go out of my house, I heard some birds screeching. 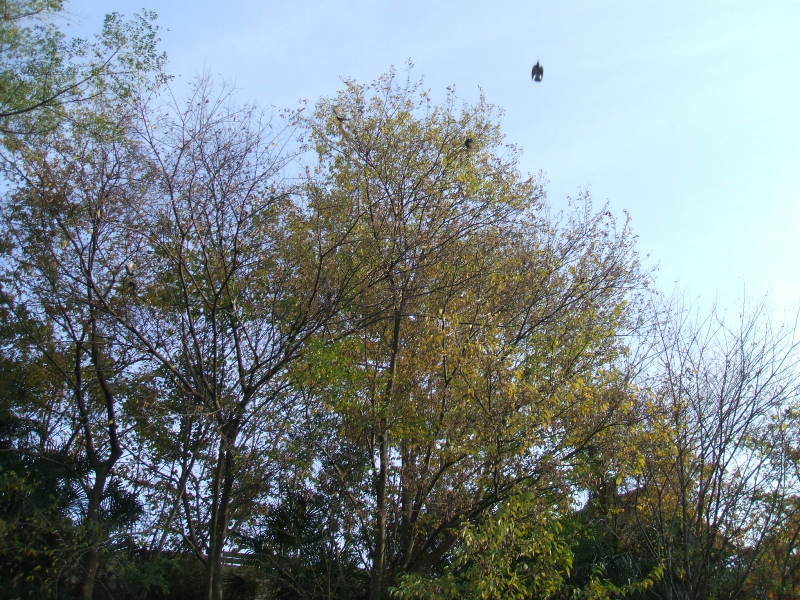 I could get a flying bird in the picture. 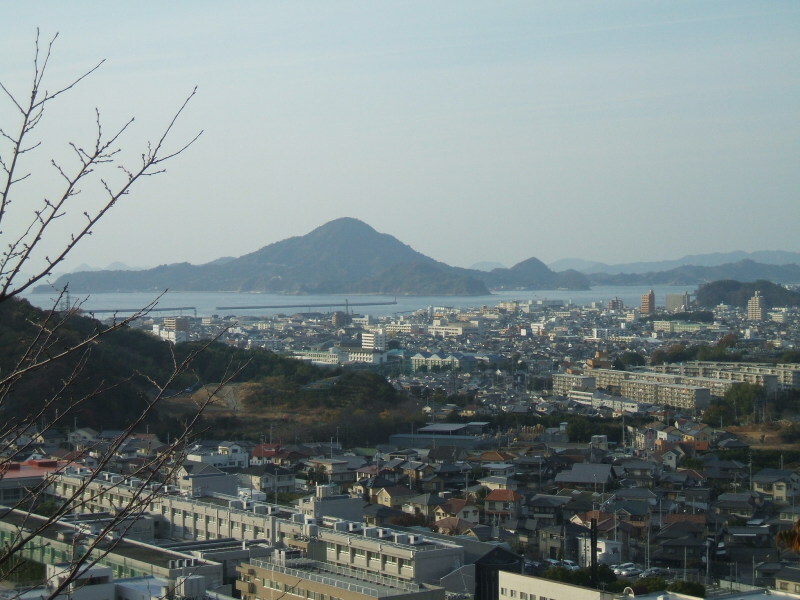 This is Gogoshima Island that I wrote in the previous entry. 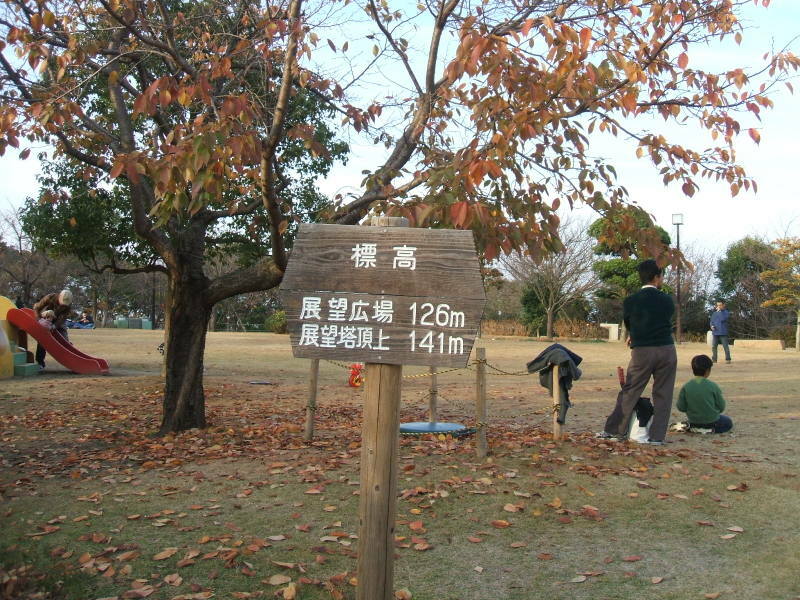 This is the symbol of this park. It is an observation tower. This is the symbol of this city, Matsuyama Castle. 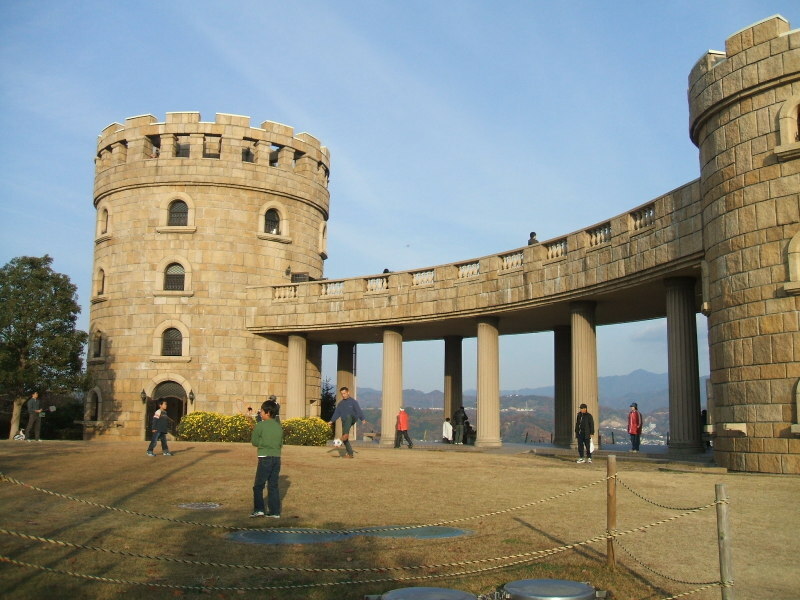 The altitude of the base of the observation tower is 126 meter and the top of it is 141 meter. I got to feel like riding my scooter around suddenly seeing blue sky last Sunday. 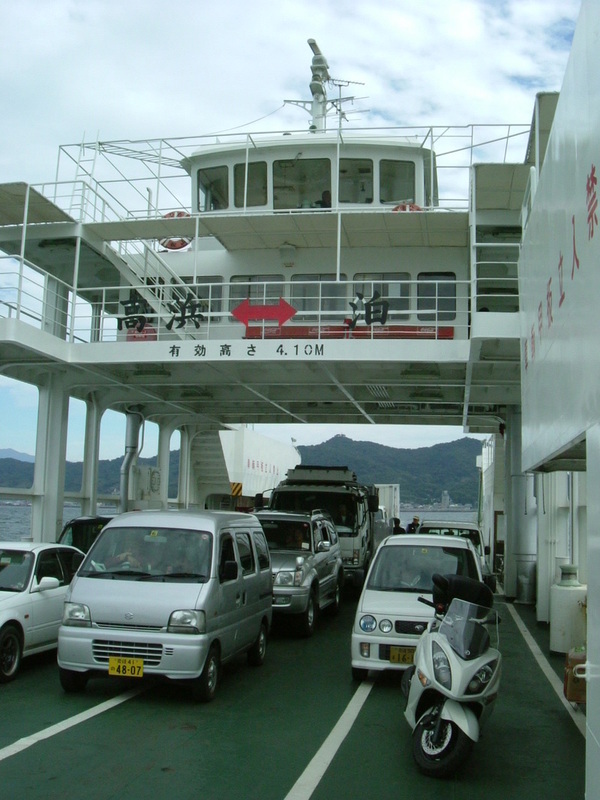 I went to Gogoshima Island, 10 minutes off the shore of Matsuyama City. The picture shows my scooter on the ferry boat and a monument that I found by chance honoring the victims of a submarine accident in World War Two. When the accident happened, the submarine was on the way to the battlefield and was repeating the training of going underwater and bursting to the surface. 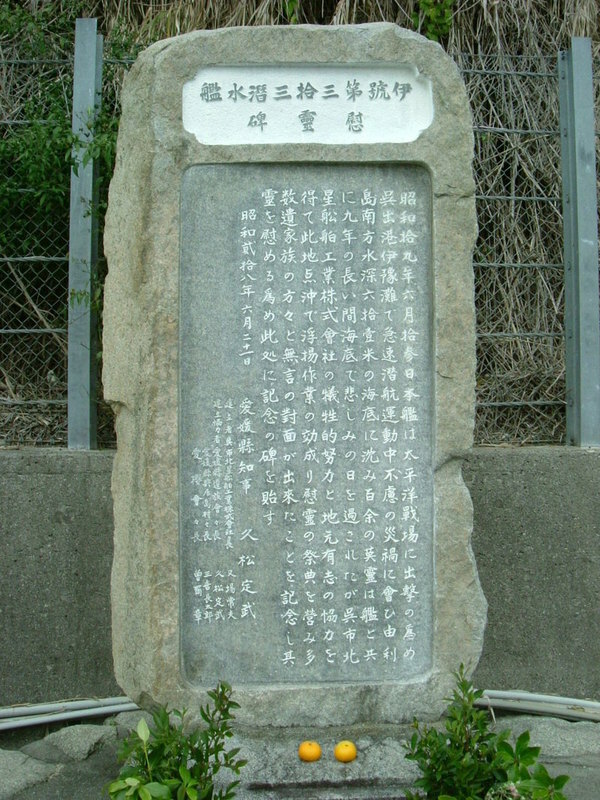 The monument seems to have been placed at the nearest point from the accident site on the island. I got sad to read the words on the monument. I shouted in my mind, "No more war!" I didn't know about this accident. Though more than a half century has passed since the accident, the monument was managed in a neat and tidy manner. Some oranges, fresh water and some plants were placed praying for the souls of those who perished in the accident. I guess they were deeply sorry, not that they had to die, but that they couldn't join the war. The last picture was taken at almost the highest point of the island. 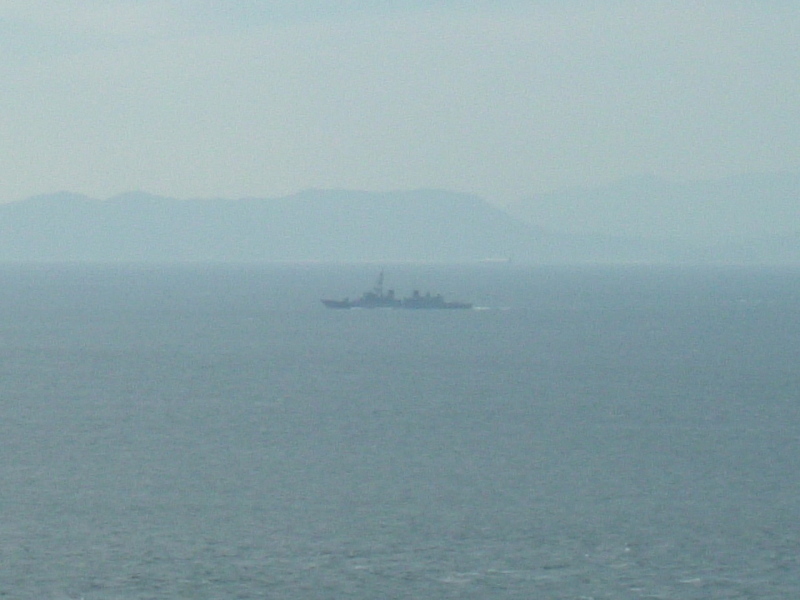 As you see, it is a destroyer of the Maritime Self-Defense Force of Japan. It looked like the warship had just come out of Kure Base, where Yamato, the all-time biggest warship, was constructed just before World War Two. I'd like to mention my private opinion about the Japan-DPRK Pyongyang Declaration that was announced when the Prime Minister at the time, Jun'ichiro Koizumi, visited North Korea on Sep. 17th in 2002. In my humble opinion the basic philosophy of this Declaration is to make peace in the Korean Peninsula with Japan playing an active role. However I think this basic philosophy itself is completely wrong. No matter what condition North Korea is in, in peace or on a war footing, it doesn't matter to Japan. There's no more significant meaning than that peace is better than war for Japan. Why does Japan have to take part in many issues related to North Korea? It's not because we have to bring about peace in the Korean Peninsula, but because we have the abduction issue with North Korea. Kim Jong-il abused not only the human rights of some individuals but also the sovereignty of Japan. The North Korean National Agency took more than 100 people out of Japan who were living peacefully in the nation. If Japan can't restore them to their original home, Japan can't be accepted as a nation. I think that the Japanese administration must have a stronger attitude against other countries otherwise Japan will lose the point of its existence. 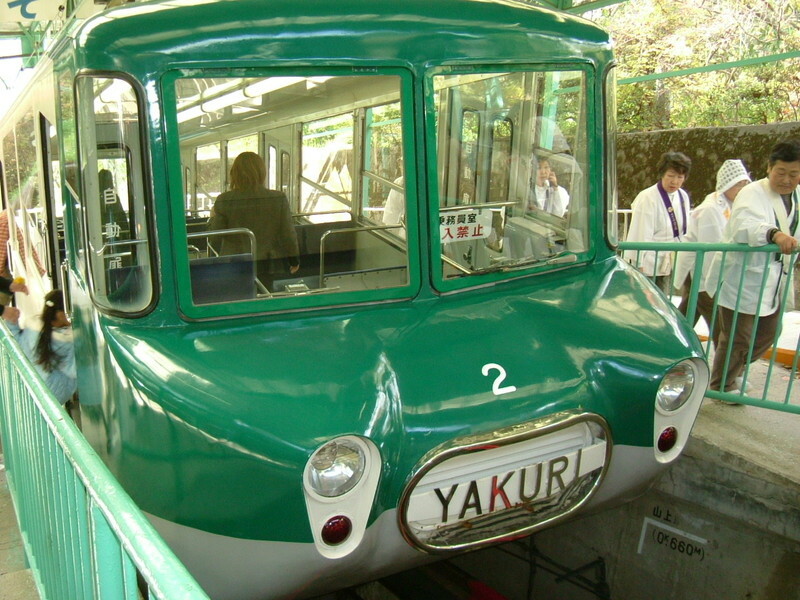 We got to Yakuri cablecar station. We were lucky and it was getting sunny. 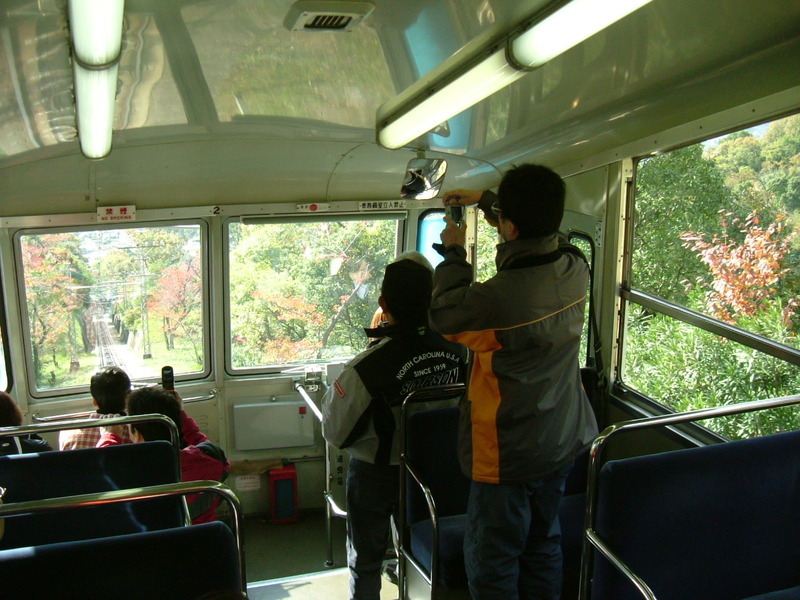 One of our purposes was to get on this cablecar. There was a narrow pathway to the temple on the left side of the station, but I didn't walk there. 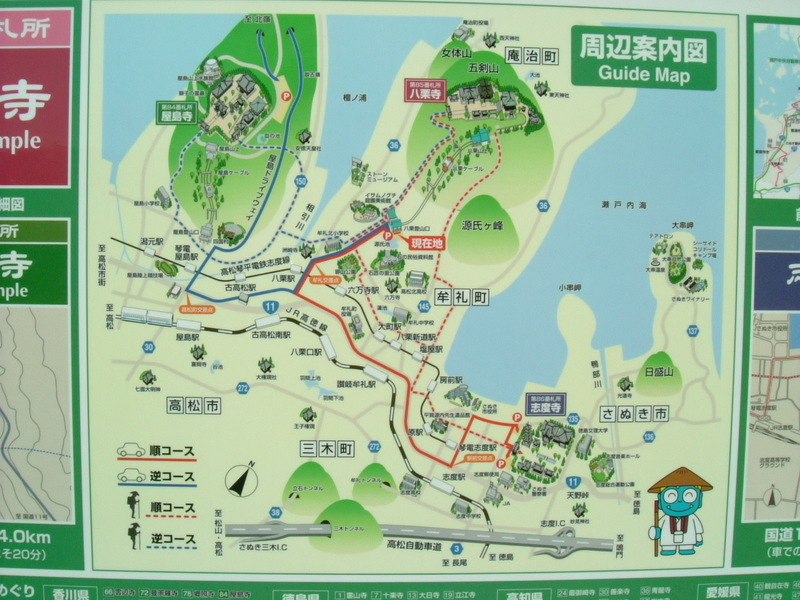 This is the map of the area around us. 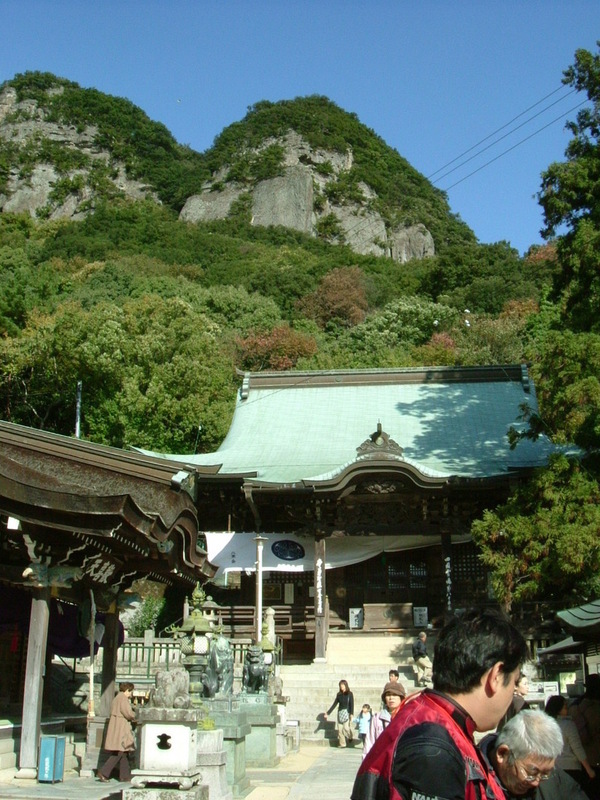 This area has three famous temples that belong on the Shikoku Pilgrim's Way. 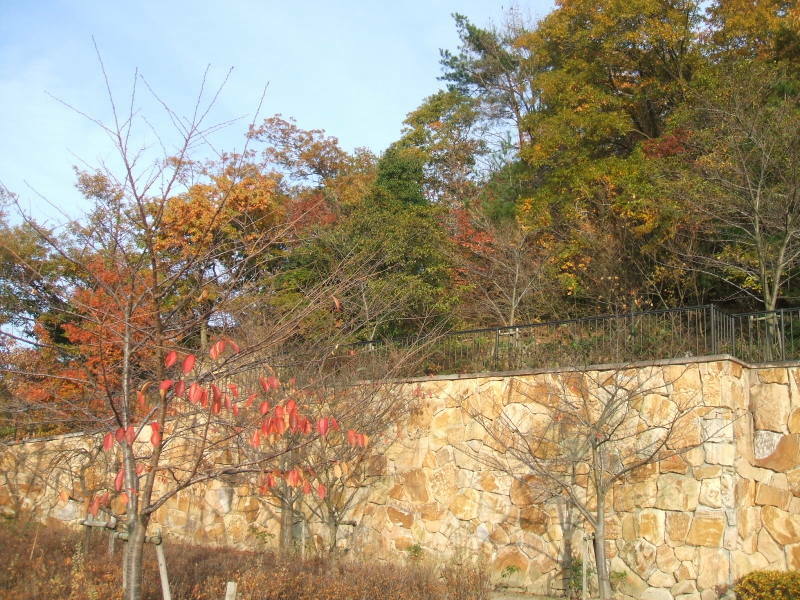 We climbed up to Yakuji-ji Temple that is illustrated with white letters in the red-purple box. Three letters in the red box indicate where we are. This is the cablecar that we are going to get on. Two of my friends in the cablecar. 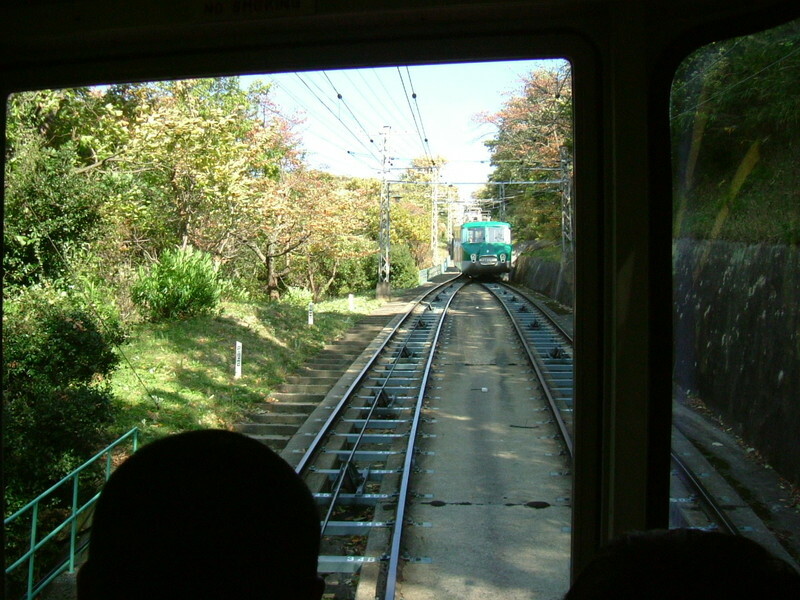 We are climbing up and passing another cablecar. Yakuri-ji Temple, but I was more interested in the wall behind the temple. I wanted to try it, but I heard that rock slides often happen and rock climbing is prohibited now. 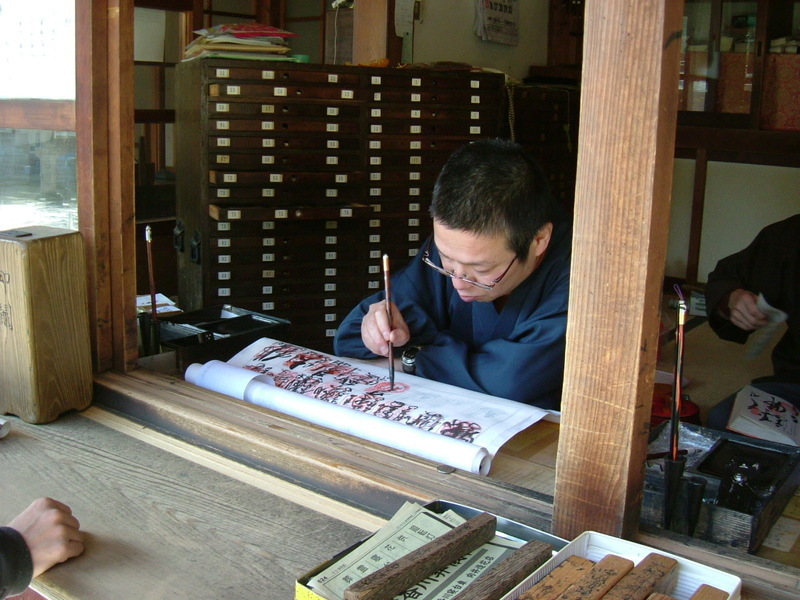 A staff member of the temple is writing something. People are collecting the signature of each temple on the Shikoku 88 temple pilgrimage. 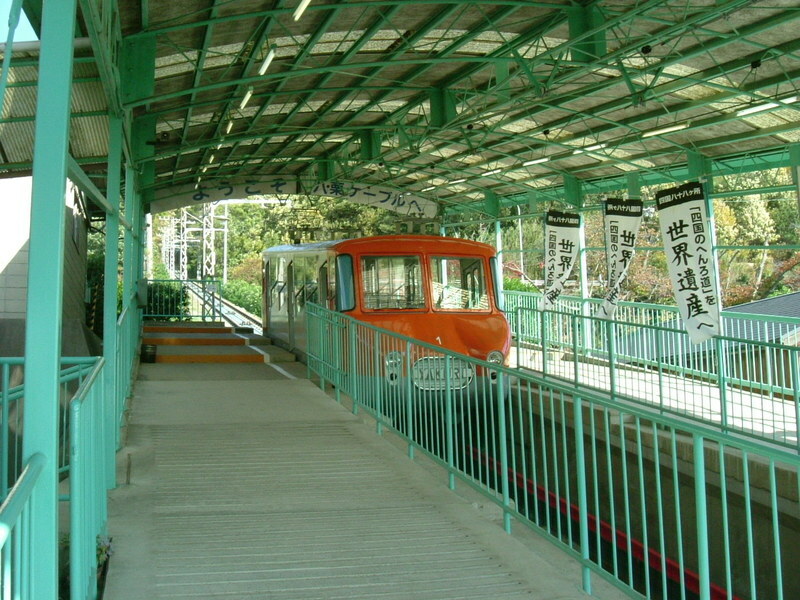 The cablecar that we are going to get on to go down. Leaves around us were starting changing their colour to red. Some people were taking pictures. 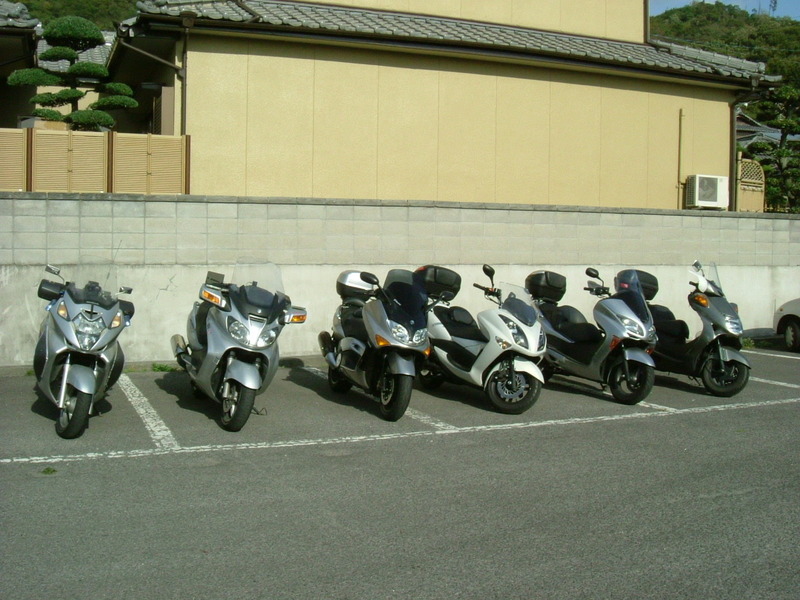 Our scooters. The white one is mine. Just after this picture was taken, we went to the last Udon restaurant that was old-fashioned and a little expensive. I showed this restaurant in my previous entry.